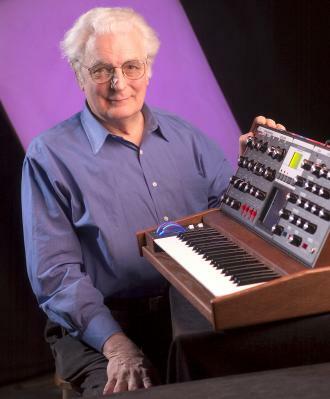 Electronic music pioneer and founder of Moog Music Inc., Dr. Robert Moog, died on August 21, 2005 at his home in Asheville, N.C. He was 71. Dr. Moog had been diagnosed with brain cancer (glioblastoma multiforme or GBM) in late April 2005. He is survived by his wife, Ileana, his four children, Laura Moog Lanier, Matthew Moog, Michelle Moog-Koussa, and Renee Moog; his step-daughter Miranda Richmond; and the mother of his children, Shirleigh Moog. Moog Music Inc. company president, Michael Adams, shared the following thoughts about Bob: "Bob has been such a huge inspiration to all of us. In losing him, we lose a creator, visionary and friend. He was someone who taught us well and he was proud of this company and its people. Bob shaped music in deep and meaningful ways by changing how music could be produced and ultimately, how it would sound. He contributed to a new soundscape - a legacy that we will continue in his honor. He was a musical pioneer for the love of it and musicians everywhere have had the opportunity to expand their own creative horizons with Bob's inventions. He will truly be missed by all of us, but we take comfort in the fact that his musical innovations will live on in the music he inspired and the products we will continue to make." Moog started building theremins as a teenager and established the R.A. Moog Company in 1954. One of the first electronic musical instruments, the theremin provides a unique, tremulous sound and is played without the thereminist touching it. In 1963, Moog created the first Moog Modular synthesizer, with the more portable Minimoog following in 1970. The Minimoog opened the world of synthesized music to thousands of musicians. Moog sold Moog Music in 1971 to Bill Waytena who then sold it to Norlin Music in 1975. Moog left Moog Music, a division of Norlin Music in 1977. In 1978, Moog founded Big Briar Inc., in the mountains of Western North Carolina, which then took the Moog Music name in May 2002. Today, the Asheville-based company designs and builds high-quality analog synthesizers, guitar effects modules, theremins, and a controller for acoustic piano called the PianoBar. Moog remained active with the company up to the day he was diagnosed with cancer. Adams, who has been president of Moog Music since May 2002, notes: "Bob and I had been planning his retirement for next year, and in that process we dentified two very talented people to continue Bob’s legacy of musical innovations, Steve Dunnington and Cyril Lance. Steve is a graduate of UNC-Asheville's Recording Arts Music program. He has worked closely with Bob since 1994. Cyril is a senior engineer with a degree in physics from Cornell University." Moog's instruments have influenced many styles of music from jazz to rock, R & B to classical. Moog keyboards can be heard in the music of artists as diverse as funk masters Parliament and Funkadelic; rock icons Yes, the Beatles, and Emerson, Lake and Palmer; and jazz greats Herbie Hancock and Chick Corea. Today, top musicians still seek out Moog instruments. Moog keyboards and the music they helped create have enjoyed a strong following among players and aficionados. And the original theremins designed by Moog enjoy a renaissance today. They are used by popular groups and serious musicians for effects, electronica and classical music. Musicians and studio technicians across many musical genres have woven the timeless Sound of Moog into an integral part of our musical culture.